MR. CHANCELLOR, Grand Chief Stewart Phillip is a dedicated, tireless, and widely respected advocate for the rights of Indigenous peoples of British Columbia. As a community leader, he has served for many years as President of the Union of B.C. Indian Chiefs, Chair of the Okanagan Nation Alliance, and as elected Chief of the Penticton Indian Band, which he has also served in many other capacities for nearly forty years. In recognition of his exceptional service, he was accorded the rare honour of being given the title of Grand Chief by the Okanagan Nation and the Elders of the Penticton Indian Band. There are many examples of the ways in which he has taken an active role in the defense of Aboriginal Title and Rights by offering his support to Indigenous communities in need. He has also supported Indigenous people in urban areas who often struggle to have a voice. Through his strong personal commitment, he has brought attention to many issues facing Indigenous communities, travelling to see first-hand the impact of fish farms in the Broughton Archipelago, lobbying on Parliament Hill to defeat the First Nations Governance Act, and standing with Elders of the Treaty 8 area against oil and gas development in the Peace River region. In current contestations surrounding jurisdiction in pipeline and resource developments, he has advocated tirelessly for the voices of Indigenous nations. He has frequently served, and taken the criticism for being the visible spokesperson for positions that have been contentious or unpopular, providing the opportunity for others to work more quietly for their resolution. 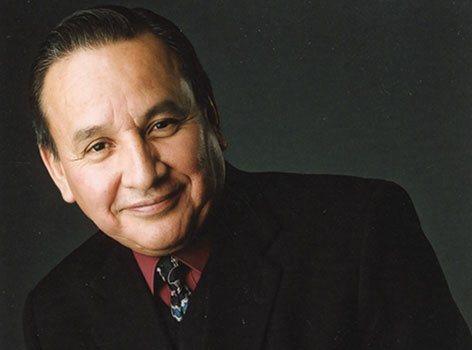 Grand Chief Phillip has also spoken on many occasions at U.B.C., and in that role provided both example and advice for students in advocacy that is passionate, thoughtful, and articulate. Mr. Chancellor, in recognition of his advocacy, activism, and tireless and effective leadership, I ask you to confer the degree Doctor of Laws, honoris causa, upon GRAND CHIEF STEWART MICHAEL PHILLIP.